Wooster Animal Clinic strives to offer the most complete pet care coupled with a technologically advanced facility. That’s the goal today, as it was over 50 years ago when the clinic was founded. With a one thousand dollar loan cosigned by his father, Dr. Mike Yacapraro and his wife, Jane, set off to renovate a former steakhouse into a modern veterinary facility. That was in 1968. Today, that facility at 3050 Lincoln Way East stands as a testament to the Yacapraro’s promise of loving care with a commitment to excellence. Yacapraro’s are quick to point out that what they’ve built over the years is much more than a business. They are proud to have assembled a strong and dedicated staff, many of whom have been with the clinic for more than 20 years. Today, the staff includes three doctors, three technicians, and a support staff of over ten. While large for a veterinary clinic in Wayne County, doctors and staff alike suggest they are more like an extended family rather than a medical facility. This feeling in turn is passed along to their clients every day by treating their patients as if their own! This philosophy has rewarded the clinic with a large, stable client base. More importantly and especially in today’s modern age of mass media, most of the clinic’s new patients have been referred by an existing client! That’s an honor the clinic will never take for granted. Check out a story in the Wooster Daily Record when we celebrated our 45th Anniversary. 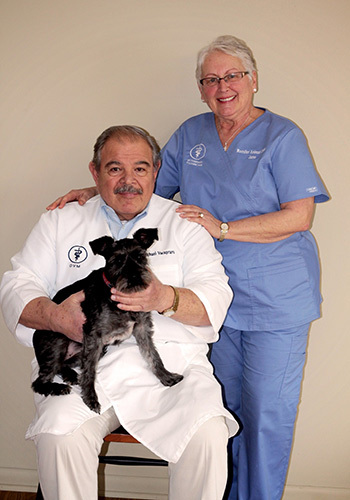 Dr. Mike and Jane Yacapraro opened the Wooster Animal Clinic in August, 1968. During the early months, it was just the two of them. In fact, clients would often see several of their small children in a playpen tucked behind the reception desk! Fortunately soon thereafter, they were able to hire some support staff, enabling Jane to spend more time at home with their growing family. Both remained active with the clinic until their passing. Though we lost both Dr. Mike and Jane in 2018, their memories remain with all of us at Wooster Animal Clinic. 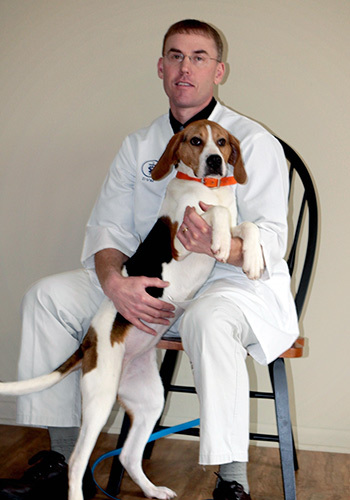 Dr. Greg Cantrell began working at Wooster Animal Clinic long before he became a partner. In fact, it was 1972 and he was just 14 years old. Greg eventually graduated from Triway High School (1975), received a Bachelor’s Degree in Animal Science from The Ohio State University (1979) and went on to graduate from OSU’s College of Veterinary Medicine in 1983. Eleven years after starting at the clinic, Greg returned to practice at Wooster Animal Clinic in ’83 where he’s been ever since. Though he became a full partner in ’92, he’s since transitioned his ownership to Dr. Hoverstock. Born and raised in Wooster, Dr. Mark Yacapraro graduated from Triway High School in 1988. 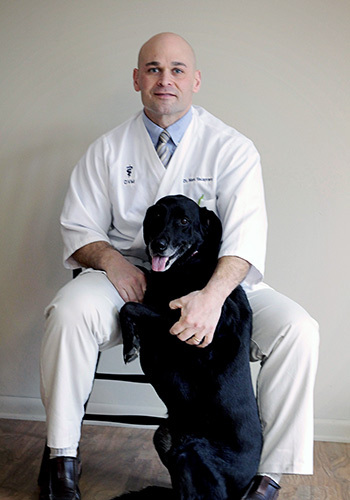 With an interest in veterinary medicine he gleaned while growing up alongside his father (Dr. Mike), he graduated from The Ohio State University College of Veterinary Medicine in 1995. 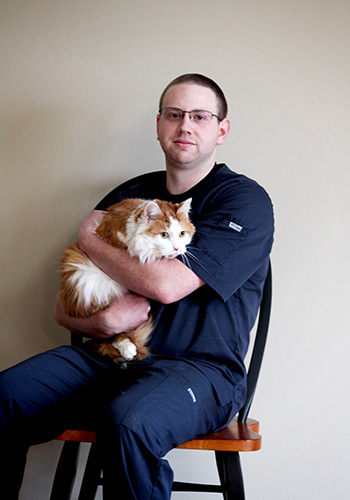 Shortly thereafter, he joined the Wooster Animal Clinic where he is now a co-owner. Mark and his wife Heidi have three children, Allison, Emily, and Joey. Dr. Yacapraro appreciates that every day is different… and definitely not dull when caring for so many different types of animals. His hobbies include weightlifting, fishing, motorcycles, and reading. 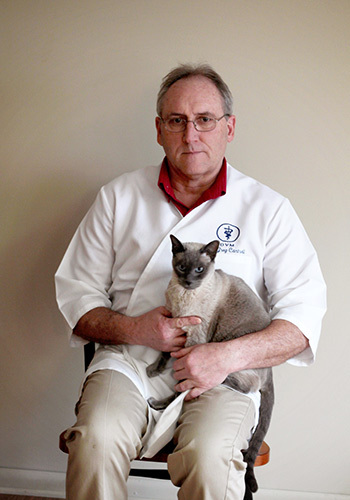 A 1999 graduate of Ross University School of Veterinary Medicine, Dr. Mark Hoverstock practiced at a mixed animal clinic before joining the Wooster Animal Clinic in 2003. 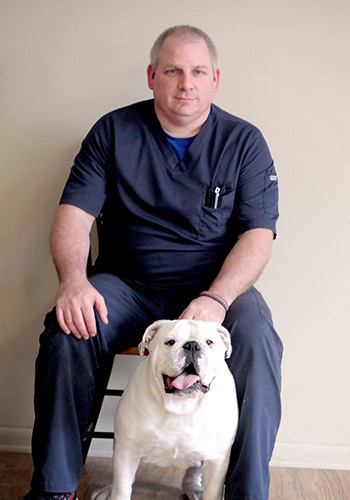 He focuses on canine and feline patients with a special interest in surgery and canine reproduction. He is a co-owner of the clinic. Mark grew up and resides in Ashland County. He and his wife Tammy have two sons, Brock and Jake. He enjoys outdoor activities, including growing pumpkins, camping, and pulling tractors. 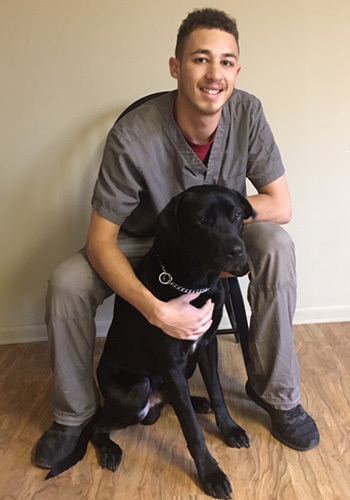 A 2014 Wooster High School graduate, Adrian loves working with the animals and staff at Wooster Animal Clinic. While not working, he enjoys playing basketball and spending time with his dog, King. He lives at home with his two cats and dog. Carrie is a recent graduate of The University of Akron. She's had many pets through the years (currently a black pug named Mia) and admits to a lifetime love of animals. 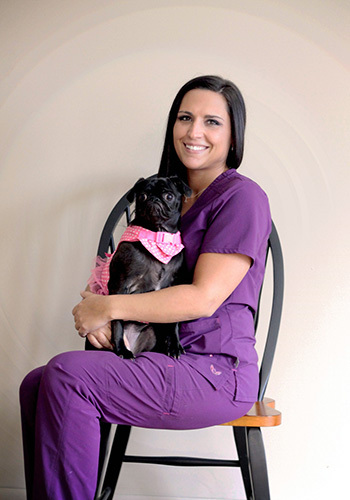 Working at Wooster Animal Clinic allows her to interact with them on a daily basis. When not at work, she's home with the other two loves of her life, children Kelsey and Kolton, who keep her very busy! Clif very much enjoys working with the animals and clients at Wooster Animal Clinic. At home, he has one cat, Snoop Snoop, and a snake. Duffy started at Wooster Animal Clinic in June, 1988 as a kennel worker, eventually working his way up to manger. He enjoys the staff and clients, especially the variety that every new day brings. Living in northern Wayne County, you'll see him at many Norwayne athletic events. Duffy and his wife Tiffany have five kids as well as Tink (a Chihuahua mix), Mia (a Husky mix), and Brutis (an English Bulldog). Hailee grew up in Sterling with her parents and two brothers. She attended Norwayne High School and the Wayne County Schools Career Center, taking animal care and management classes. Encouraged by her love for animals, she graduated from Brown Mackie College (June, 2014) as a Licensed Veterinary Technician. Hailee keeps busy as a 4-H advisor and enjoys many outdoor activities. 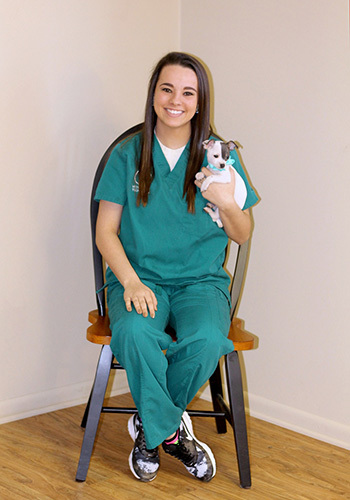 Heather's been part of Wooster Animal Clinic since October, 2004. She's a 1989 graduate of Columbus State College with an Associate of Applied Science in Veterinary Technology degree. 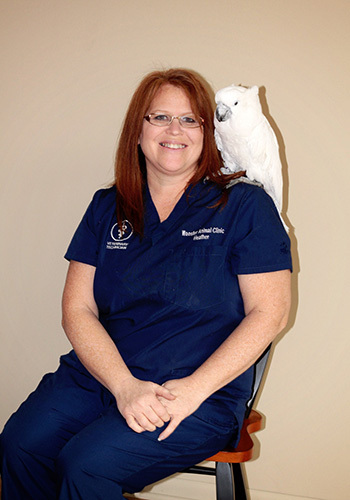 She enjoys all aspects of veterinary medicine but is particularly interested in avian healthcare, emergency medicine, and nursing care. Heather loves spending time with her husband, three daughters, and one cat. They live in Perrysville and enjoy being outdoors and traveling. Kylie is a recent graduate of Bradford College where she studied to become a Veterinary Technician. She, her husband, and cat live in Orrville. Yordalia grew up in Cuba where she worked in her stepfather's veterinary clinic, an experience that fostered her love for all animals. She moved to Ohio when she was 15 years old. She currently lives in Massillon with her husband, her mother, and four dogs & three cats. 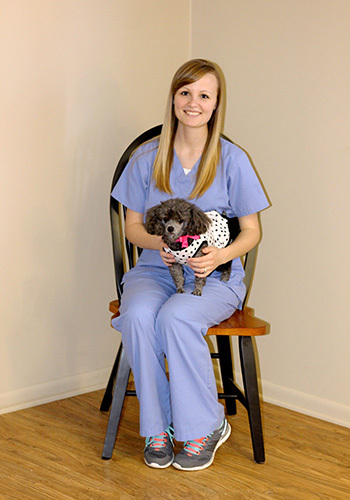 She's enjoyed being part of the Wooster Animal Clinic family since 2007.